How to Secure WordPress Website from Hackers? The unfortunate reality in every programmer’s life is that there is no absolute defense against security threats and hackers concerning WordPress websites or blogs. An intelligent and resolute hacker always finds a way to bypass the security precautions and will find a way into the system much to the programmer’s dismay. But it is the duty of the programmer to make it immensely difficult for the hacker. As often when the difficulty level of hacking is very high, the hacker will go away and hack a website with lesser protection. To lessen the menace of hacking, there are some simple protection security measures which the website developers and programmers can adopt. When Google is searched about WordPress hack prevention, five million results are found as innumerable opinions about hack prevention are found on several websites on the Internet. But the irony is that even the software of these websites are mostly not updated as the website owner may become busy with some other website or content. This lackadaisical attitude is a great threat to website security and a hacker may take this opportunity to hack the website. Various methods are present to sign up and use WordPress. So after choosing the hosting plan, the domain name, and the installation software is alert to never use the defaults. Use of defaults will make it easier for the hacker since he will have more information about the website which greatly helps the hacker to accomplish his aim. Never use the default username or password of the hosting account and the website content management system, no sooner have the WordPress been installed should the password and username be altered. Also, change the information; given to the hosting company or during signup, since one can never be sure about all the people; with access to the data in the hosting company’s server. Few people believe that unnecessary images should always be removed because they only misuse space on the servers, but most opine that keeping unneeded images creates security threats. Though this statement seems quite ludicrous it is true, the notion of unused plugins and images increasing security threats is genuine as the hackers often target plugins; which people bought en bloc due to their popularity, without thinking about their usefulness. Many programmers store many unnecessary plugins in their system, the hacker gains entrance through this plugins and amass data from the website through this loophole. High chances of contravention are there since the plugins are never used and also the recent security upgradations have not been done since seldom or no usage. The instance of plugin TimThumb; it had a bug or loophole which the hackers utilized to gain access to many WordPress websites to gather information and disturb the sites, thus it is advisable to delete unnecessary plugins and images to protect websites better from hacker threats and also to make help the websites glitch free. Choose a password with at least eight or more characters, having an arbitrary mix of numbers, letters and special characters. It is advisable to not use words or names, birth dates, etc as these things can be guessed. Never note your password in any electronic site except the encrypted password box of the WordPress website, if you are afraid of forgetting the password note it down in a notepad and keep it. On a regular basis every seventy or so days; alter the password to make the hacker’s task harder. As even if he had a brute force program operating on the website he will have to start hacking from the beginning as the changed password will prevent him from breaching the website. Very often it is seen that the hosting company which host the website has a number of protection options, this options may be used if considered alright. As seen in the instance of hosting company HostGator; when the “Security and Accelerate your site” add-on is clicked on some elemental security options are there for the basic protection. But be cautious to rely too much on these hosting companies, they often give discount codes and vouchers, these codes are cheap and thus have more than one similar codes which make them very vulnerable to hackers. Various software is there which provide plugins for the WordPress content management system, but the quality varies as some are credible and others unusable. So it is better to use only WordPress plugins or buy other plugins after doing proper research, paying no heed to the advertisements. Be skeptical and always search for sensible but disapproving testimonies, as more often that is the reality. Search for a plugin with more positive opinions is a reputable security software and in use for more than six months; minimum. Never just download and install plugins without proper inspection and reliable app marketplaces. When website owners share the original passwords with freelancers, in most cases all is fine till the job is done by the editor of the WordPress website, problems start only after the freelancer is paid. Then the website is hacked and trouble start, but all these is preventable if the decisions are taken with some deliberation by the website owner. He should have removed the usage approval of the freelancer once the job is completed and also some arbitrary password should have been given to the freelancer instead of the original password that the website owner uses. Controlled usage should be provided to the freelancer so he has no control over the website once his job is done. Try not to commit these stupid mistakes and compromise the security of the WordPress websites, the owner should always have sole and supreme control over the workings of the website. Buy website from the host who gives security the utmost priority. There are many free hosting packages who cannot afford effective security measures, but even costly hosting packages sometimes have poor security measures. With proper research and inspection, the decision rests on the website owner to choose a proper and suitable hosting package. As hackers often enter through the loopholes of the hosting site and collect information about the WordPress website and create troubles for the website. Always for proper backup for the website since when a website is hacked, it may crash and all data will be lost for the time being. If someone is passionate about hacking a website; even the impossible can be achieved as a fifteen-year-old boy hacked NASA, also Richard Pryce a sixteen-year-old Londoner hacked the American Security systems, they have been considered potential national threats ever since. So the danger of hackers is always an imminent one for website owners and the plugins should be chosen after much consideration and backup should always be there. Even if the hacker hacks the site and removes all information it will not affect the website so much, with the backup you can restart the website with security by changing the passwords and plugins, and re-uploading the data within a single day. Only the last two backup versions of a website are required, so much space of the server is also not taken by the backup. This is same for all electronic and technological things, so the WordPress website should be regularly updated along with the security plugins. Never use older versions of the WordPress since the older versions become vulnerable to hackers as they have existed for a long time and are thus easier to breach into. To make the security stronger eliminate the WordPress version from demonstration to all. The WordPress is always creating better versions with each up gradation, so the security is stronger in the updated versions. Always follow the WordPress feed to be informed about the latest WordPress version or simply just login into the website admin. WordPress Development and BlogSecurity.net are highly recommendable for WordPress website owners to follow for being informed about the latest up gradations and developments. WordPress Keys are an important security measure, the keys act as salts for the WordPress cookies thereby guaranteeing improved encryption of the client information. Generate the keys using the WordPress Key Generator. The WP Security Scan plugin is a strong, easy and computerized security check. This plugin will scrutinize the WordPress website for hacks and security breaches, the instant any malicious code or program is found the owner is informed of the breach. By default the table prefix for WordPress is [wp.___]; this is known by everyone so SQL Injection assaults of the hacker are effortlessly done as the prefix is straightforward to assume. So it is highly recommendable to alter the table prefix, done either through the manual way or the WP Security Scan plugin way. The manual way is difficult to follow for a new website developer, and the WP Security Scan plugin way has made it easier to change the table prefix. The internet search engines trace the whole website and catalog every content unless it is prohibited from doing so. The admin portion should not be cataloged as it consists all the sensitive and security information, the easiest process to stop indexing is to make a robots.txt file in the root directory and then place the required code. The hypertext access (.htaccess) is the default name of the directory phase organization files which permit decentralized managing of formation inside a website. The hypertext files are frequently employed to indicate the security limits of the specified directory. This should be known by all website developers and owners as a lot of security can be achieved by hypertext access. After modifying the .htaccess to secure the blog from hackers, the .htaccess itself should not remain open to attacks. So apply the .hta to any file to prevent external access. It is foolish to permit viewers the right to browse through the whole browsing directory. This directory browsing gives an easy chance to the hacker to observe the directory structures and thus watch for security fissure to gain entrance. The prevention measure is the simple addition of two lines in the .htaccess of the root directory of the WordPress blog. The wp-config.php is an essential component of the WordPress website as it contains all the important data of the website and also the configuration of the blog. Thus, the security of wp-config.php is fundamental and is done through the addition of the .htaccess code to the file in the root directory. The hypertext access(.htaccess) is the default name of the directory phase organization files which permit decentralized managing of formation inside a website. The hypertext files are frequently employed to indicate the security limits of the specified directory. This should be known by all website developers and owners as a lot of security can be achieved by hypertext access. After modifying the .htaccess to secure the blog from hackers, the .htaccess itself should not remain open to attacks. So apply the .hta to any file to prevent external access. It is foolish to permit viewers the right to browse through the whole browsing directory. This directory browsing gives and easy chance to the hacker to observe the directory structures and thus watch for security fissure to gain entrance. The prevention measure is the simple addition of two lines in the .htaccess of the root directory of the WordPress blog. With this, the WordPress website can be protected against script injection and redundant alterations of _REQUEST, GLOBALS. Here also the root is the .htacces. One should always observe the files permission since the WP Security Scan always warns in certain ways. Look through certain suspicious files on the root using the best FTP client and the Chmod files if necessary, the WordPress Firewall 2 can also be installed if required to protect the website from the mean hackers. The WordPress Firewall 2 immediately warns the user when the website is hacked, but the drawback is that it even blocks the user occasionally, so do not install the WordPress Firewall 2 unless being assailed by super hackers, as otherwise the simple .htaccess is enough to keep the WordPress websites secure. 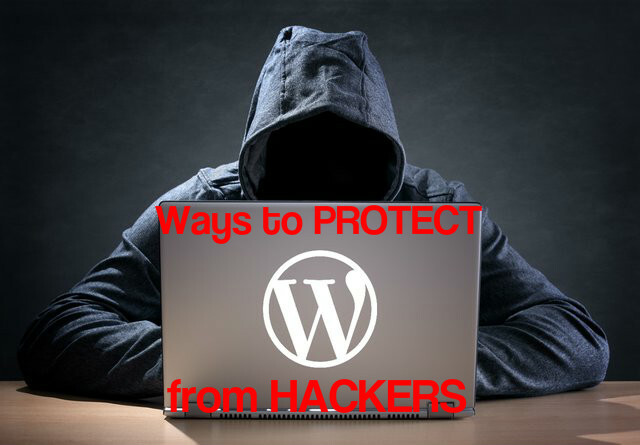 It is advisable that proper preventive measures be taken to restrain hackers from entering WordPress websites, as the adage goes” prevention is better than cure”. All the methods mentioned above are very beneficial to prevent hacks and it even can be guaranteed that after these preventive measures are taken be assured that your website will not get hacked. How to do Keyword Research for Content Marketing? How to Get More Blog Readers or Subscribers?